A tough graffiti artist like this one will be a hit mask at any party. 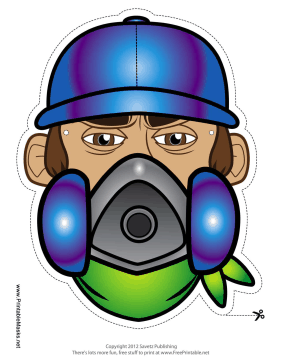 His blue hat, blue breathing mask, and green bandana show that the wearer of this mask is one stylish fellow. This mask is free to download and print.